In response to a request from Texas Governor Abbott, the Secretary of Commerce has determined that a fishery resource disaster occurred in Texas resulting from the impacts of Hurricane Harvey. 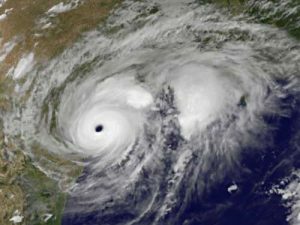 On Tuesday, March 27, 2018, in response to the request put forward by the Governor of Texas on February 14, Secretary of Commerce Wilbur Ross determined a commercial fishery failure due to a fishery resource disaster that occurred in Texas due to impacts from Hurricane Harvey that made landfall on August 25, 2017. The Bipartisan Budget Act of 2018 included $200 million for fishery disasters declared by the Secretary of Commerce in calendar year 2017 and for fishery disasters resulting from Hurricanes Maria, Irma, and Harvey. Through this fishery disaster determination, participants in Texas fisheries are now also eligible for Small Business Administration disaster loans. Additionally, because these fisheries are in areas declared a Presidential disaster, public fishery infrastructure-related losses are eligible for Federal Emergency Management Agency Public Assistance. Economic Development Administration grants as well as Department of Housing and Urban Development Community Development Block Grant-Disaster Recovery funds are another potential source of assistance for fisheries pending allocations and grantee Action Plans.